Redex Fuel Additives | How Can Fuel Additives Help Me? Home » Blog » Fuel Additives » How Can Fuel Additives Help Me? With fuel prices fluctuating and cost of living rising, we all want to save money where we can. You might take steps to increase your fuel economy, or look for the cheapest fuel in your area, but did you know that what you put in your car can make a difference? If you’ve ever touched or smelt petrol or diesel you’ll know that it’s not the nicest substance in the world. While it does a great job at making your car move, imagine what happens inside your car as you drive. In the UK, fuel quality can vary between different brands and forecourts and even pumps, as there are no regulations controlling what additives are put in it. How does this affect fuel economy? During combustion, deposits build up on your fuel injectors. These deposits can impair how the injectors work so that fuel isn’t sprayed in good strong jets. This reduces fuel economy, costing you money every time you drive. Redex is a fuel additive which works with your petrol or diesel to stop this problem. It works safely and harmlessly to get rid of the build up on the fuel injectors and, if used regularly, keeps them clean and in good working condition. 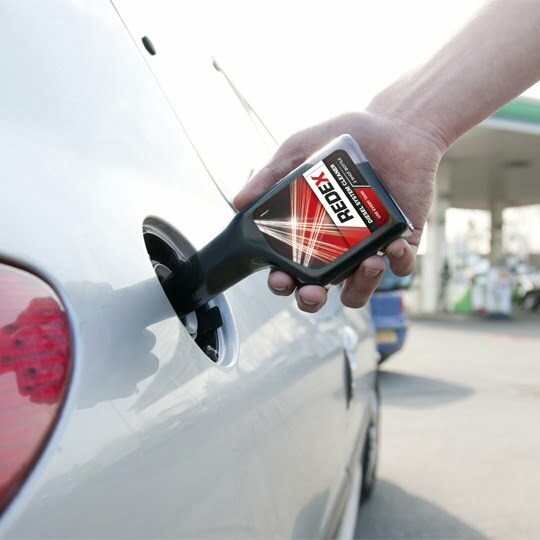 Redex helps you to keep driving by improving MPG and taking care of your car inside, saving you money in the short term and looking after your car’s engine in the long term. You can use it any time, for example when you fill your car up or even when there’s already fuel in your tank and you want to make it go further. Redex Fuel System Cleaner is carefully formulated and tested so that it’s safe to use, making it the best choice for responsible drivers. Spending a few pounds on a shot of Redex can save you more in the long term, and is an easy way to help keep your car healthy. What Are the Differences Between Petrol, Diesel and Lesser-Known Fuels?